Today is a major milestone for us! 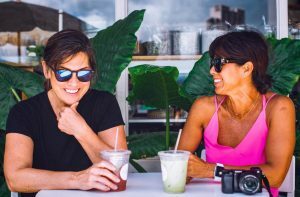 What began as a mutual wish to be business partners evolved into “blue sky” dreams of a Hawai‘i Lifestyle blog. Our first official planning meeting was in February, we registered our business in June and began to cover our adventures in August. Along the way, we have followed our hearts, had lots of laughs, and our share of wine and work, work, work. 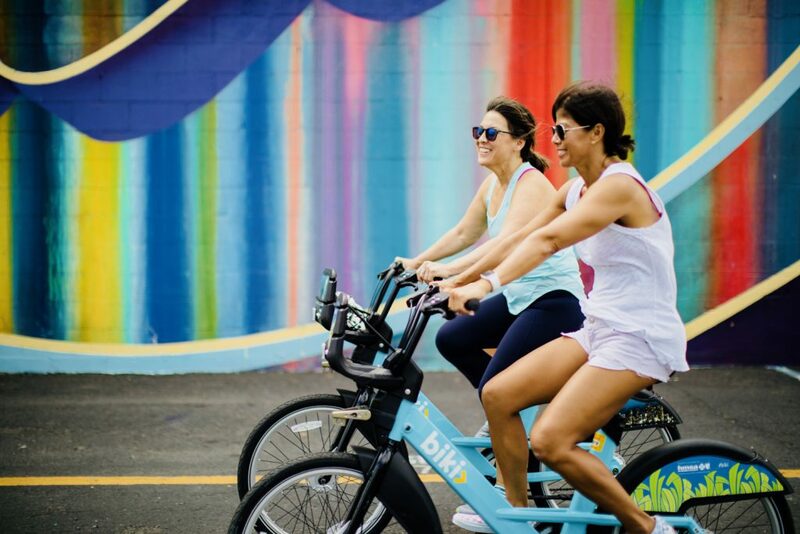 The question we always ask each other is “Are we having fun?” – YES! 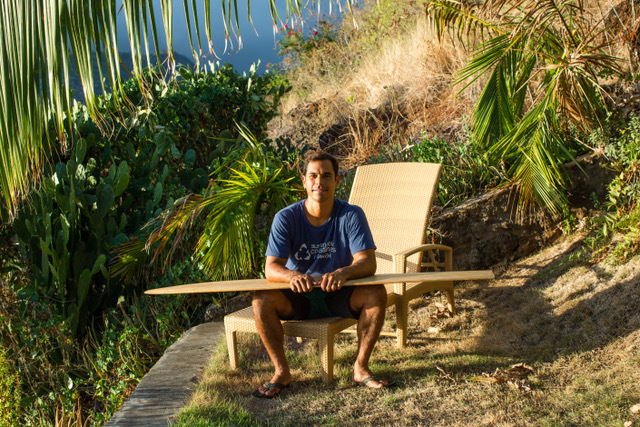 Chrissy and I arrived with a camera, a notepad and a six pack to “talk story” with Kahi Pacarro about an ancient Hawaiian surfboard called the Alaia. The Alaia is constructed entirely of wood, is super thin, shaped with a round nose and square tail and has no fin. 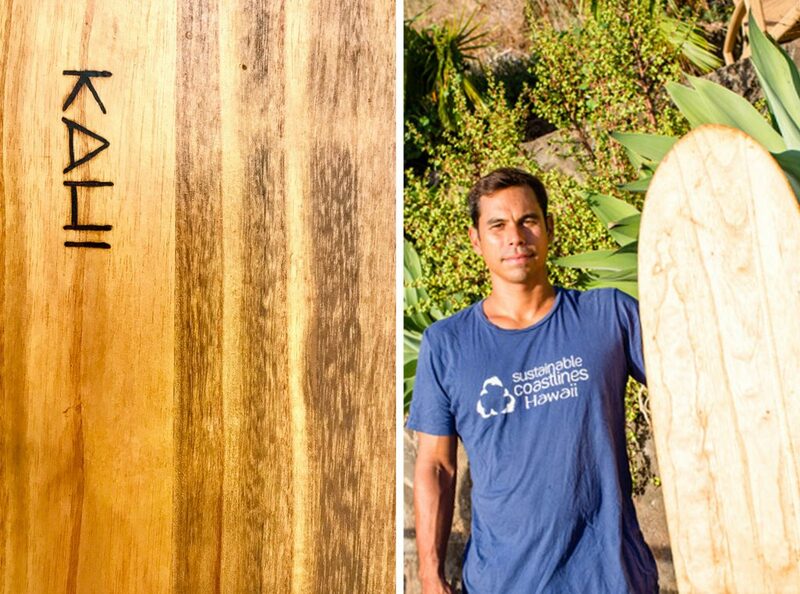 Kahi, known for his work with Sustainable Coastlines Hawaii, is a surfer, shaper of Alaia boards and a three-time winner of the Buffalo Big Board Classic Alaia Division. With introductions complete and drinks in hands, our first question was how do you surf one of these? We’re told that learning how to surf on a wood board is essentially having to relearn how to surf. To start, the Alaia is so thin that it’s notoriously difficult to paddle. Kahi shared, “Using this board will bulk up your back…, you must learn to read the water and be in the exact right spot to take off on a wave. So yeah – much harder to paddle into a wave but once you are on – the speed and agility are incredible!”. A seasoned surfer, Kahi was 29, when the chance to try an Alaia materialized in California. His friend, trying his hand at shaping, had used a piece of pine wood which Kahi promptly took out for a spin. As luck would have it, he caught a wave that session and from that moment on he was hooked! Kahi was so excited that his friend let him buy it. This newly purchased pine wood board became part of his surf quiver, … and he was set to embark on a two year around the world surf trip! During that surf trip and over a period at J-Bay (Jefferys Bay, South Africa) Kahi rode his pine Alaia almost exclusively – building his skill, strength and prowess. The sight of him “flying down the line on a piece of wood” attracted a lot of attention. The exposure in J-Bay led to a man approaching Kahi and offering him an opportunity to shape. 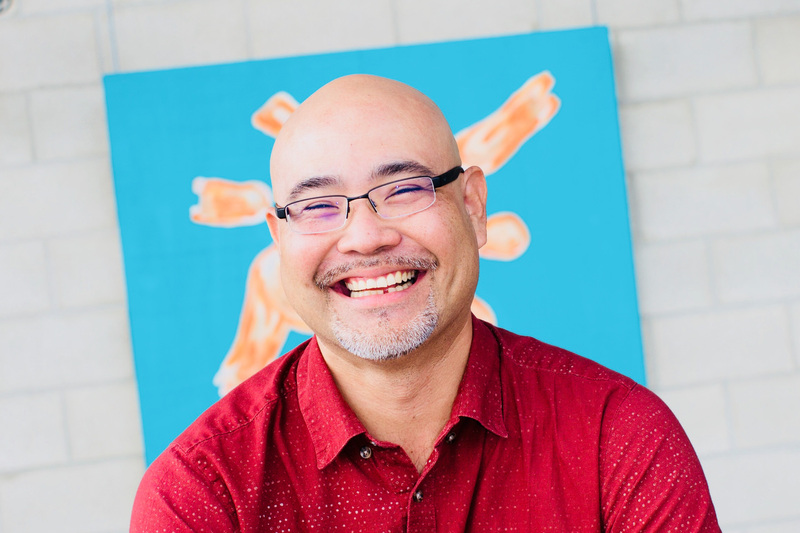 Always up for a challenge, Kahi started with three tools – a jigsaw, a sander, and a hand plane. Fortunately, the learning curve for shaping a wooden board was not as steep as riding an Alaia. Using his own Alaia as a template, he followed the basic steps; draw the shape, cut the outline, plane the rails, sand, oil, and surf. 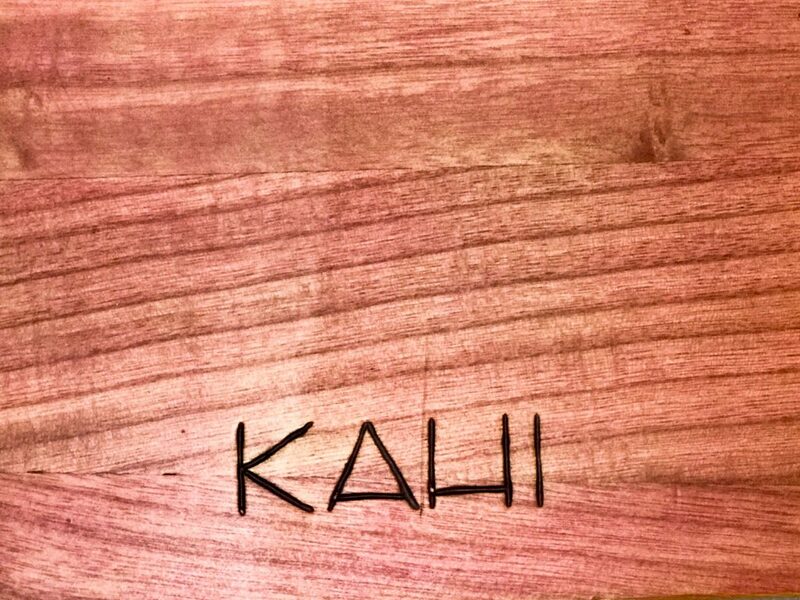 The Alaia is an attractive, functional and environmentally friendly board, and Kahi has since shaped many more for himself and for others who share his enthusiasm. Kahi confides that for him the Alaia’s stoke is its performance – emphasizing again how unbelievably fast and assertive these wood boards are. His own experience surfing an Alaia is all the testament he needs to comprehend the strength, skill, and finesse of the ancient Hawaiian Alaia surfers – those “Hawaiians were Ripping!”. As the sun sets and our session closes, we take with us the camera, the notepad and our “story” of Alaia and our island’s past and present watermen who “fly down the line”.